Food On The Edge is a coming together, in Ireland, of international chefs to listen, talk and debate about the future of food in our industry and on our planet. 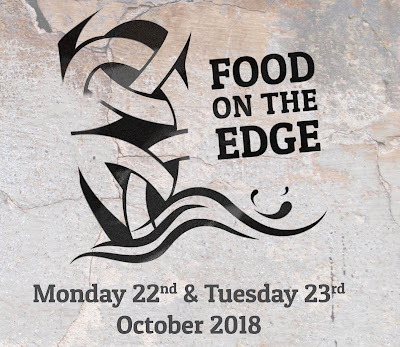 The 4th Food On The Edge is taking place on the 22nd & 23rd of October 2018, again in Galway, Ireland, this year in the Bailey Allen Hall at the National University of Ireland Galway (NUIG). The official launch of Food On The Edge 2018 took place yesterday evening in Albert Adrià’s Hoja Santa restaurant in Barcelona. Speaking at the launch Chef JP McMahon (Food On The Edge symposium director) said, “We are thrilled to be able to launch Food On The Edge in Barcelona this year. When I was first thinking about the idea of Food On The Edge, Albert Adrià was one of the first international chefs to show his support and come onboard. 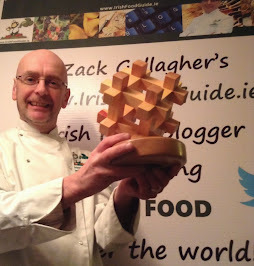 So I’m delighted to be able to acknowledge that and host this year's launch here in his restaurant, Hoja Santa." 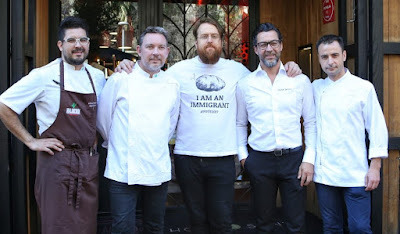 with Spanish chefs Paco Mendes, Albert Adria, Quique Dacosta and Eduard Xatruch. 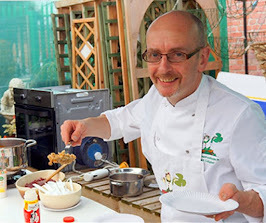 The format for Food On The Edge is a mix of 15-minute talks by speakers, panel discussions and masterclass sessions. 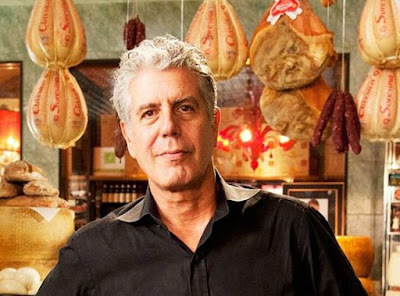 Chef and food writer, Anthony Bourdain, who died recently. Speakers for this year's event include leading international chefs Andoni Luis Aduriz (​Mugaritz​ restaurant in San Sebastian), ​Albert Adrià​ ​(of el Barri​ group in Barcelona), Jorge Vallejo ​(Quintonil​ ​restaurant also in Mexico City), Vladimir Mukhin​ (White Rabbit​ restaurant in Moscow) ​and Dan Hunter ​(Brae Restaurant in Sydney) - all of whom coveted places on the current, influential World’s 50 Best Restaurants list. New speakers for 2018 also include top Latin American chef Leonor Espinosa​ (of Restaurant Leo​ in Bogota, Colombia); ‘New Nordic’ chef Esben Holmboe Bang from three Michelin starred Maaemo​ in Osolo; Norbert Niederkofler​ of three Michelin starred St. Hubertus​ Restaurant in San Cassiano, Italy; and renowned Irish chef Neven Maguire​ (MacNean House & Restaurant​), who will be in conversation with Andy McFadden from Glovers Alley​. Confirmed speakers from the UK for #FOTE2018​ are top chef Sat Bains​ of two Michelin star Restaurant Sat Bains​ in Nottingham; London-based Finnish chef Helena Puolakka​ of Nordic influenced Aster​ restaurant; and Skye Gyngell ​of Spring Restaurant​ at Somerset House in London. Also on the line-up from Europe are Paul Ivic ​of Michelin star vegetarian restaurant Tian​ in Vienna; Nicolai Ellitsgaard Pedersen​ of Europe’s first under-sea restaurant, Under​ in Norway and Kemal Demirasal​ of Alancha​ in Istanbul. Further international speakers are Carri Thurman & Sharon Roufa​, owners of Two Sisters Bakery​ in Homer, Alaska; Lauren Singer​, the New York City-based, zero-waste devotee behind the Trash Is For Tossers​ ​project; and Joshna Maharaj​, a chef and activist from Toronto. Returning speakers-panelists this year are Ana Roš​ of Hiša Franko​ in Slovenia, Netflix Chef’s Table star and 2016’s Best Female Chef in The World and Emma Bengtsson​ of Aquavit​ in New York City. Matt Orlando​ of Amass​ in Copenhagen and Sasu Laukkonen​ of Ora​ restaurant in Helsinki have been named as the co-hosting MC’s for Food On The Edge 2018 and will also be running masterclasses in ‘zero waste in the kitchen’ and ‘working with farmers’. 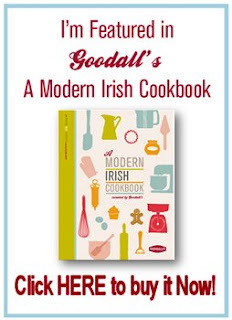 This year’s panel discussions will be hosted by London-based Irish chefs, who will talk about their opinion of Irish food and what the future holds for their careers; Nathan Outlaw, Paul Cunningham and Luke French will be discussing the ‘Future of British Food’. A 2-day Early Bird Ticket is available for €300 HERE until 31st August 2018, which includes access to all talks plus lunches and entry to the infamous wrap party. 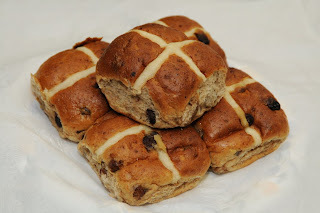 Organisers say tickets are selling fast, with last year being a sell-out show. 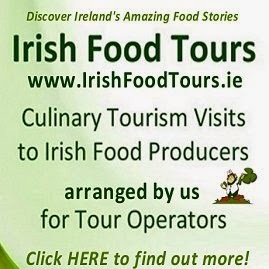 For more information see www.FoodOnTheEdge.ie. 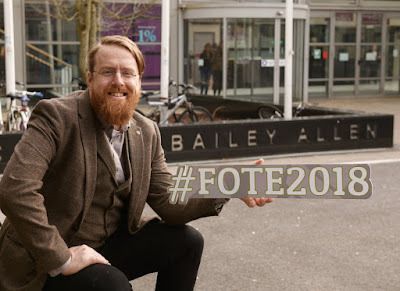 Check out the official hashtag across all social media at #FOTE2018 and follow @FoodOnTheEdge on Twitter.